Helen has curated and co-curated over twenty exhibitions spanning the history of photography. “A thoughtful exploration of the key concerns of our contemporary moment.” Read Photomonitor’s review of the exhibition online. Researcher and advisor to the Photographic Collections Network, an organisation which protects and shares the UK’s diverse photographic collections and archives. Josef Breitenbach Research Fellowship: Helen’s curatorial research project ‘Shared Vision: Experiments in Photography Education: 1945-1975’ examined the history of photography education in the United States in the post-war period with emphasis on the tensions between commercial and art practice, as well as the growing emergence of visual literacy as a recognized discipline during this time. Audrey Hepburn: Portraits of an Icon enjoyed a record-breaking success at the National Portrait Gallery, London, before touring to The Wilson, Cheltenham Museum and Art Gallery. The exhibition catalogue for which Helen was the lead author has since been published in multiple editions including German and Japanese. Read The Telegraph’s exhibition review here. Read Helen Trompeteler’s interview with Amateur Photographer magazine on the life and career of photographer Lord Snowdon here. 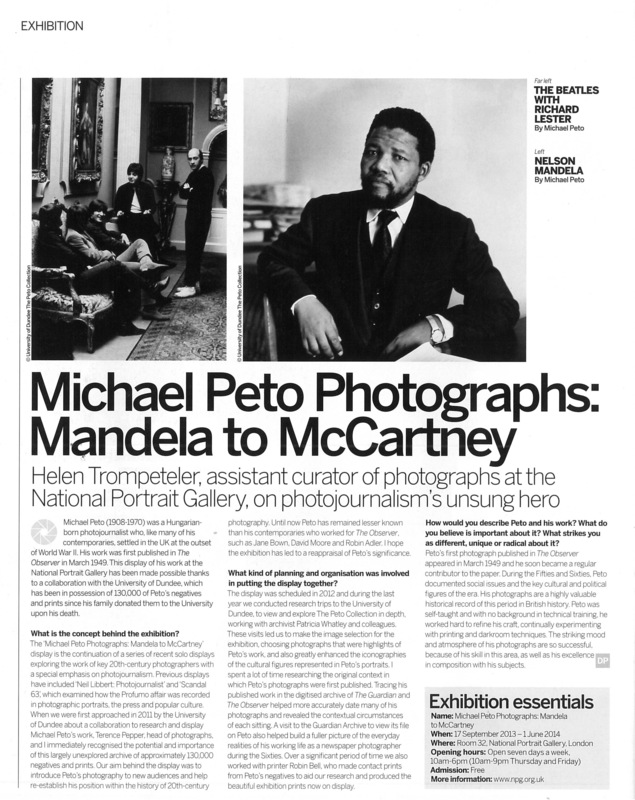 Read Helen Trompeteler’s interview with Digital Photographer magazine on Michael Peto here. Man Ray Portraits toured to the Scottish National Portrait Gallery, London, and The Pushkin Museum, Moscow. Helen’s research was summarized in an extensive chronology on Man Ray’s life and career for the exhibition catalogue. Highlights of the critical acclaim for this exhibition are available online.